Russell Aluminum Fuel Line UNIVERSAL - SOHi Performance - Your best source for genuine automotive parts! 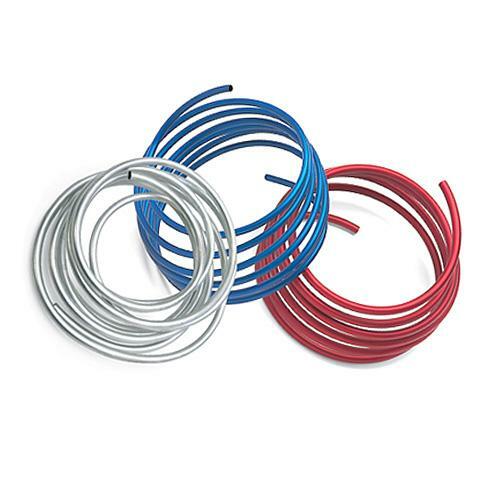 Lightweight, inexpensive and easy to use, Russell’s aluminum fuel line is available in three sizes and three finishes to fit virtually any fuel system. Used where a flexible fuel line is not required, it is easily contoured to route along frame rails and chassis tubes. Connect to fuel line adapters using Russell tube nuts and tube sleeves and a 37° flaring tool or our Hard Tube Adapters. Rated up to 250 psi.